Function: Eliminates wind (interior and exterior), subdues Liver yang, brightens the eyes, benefits the ears, clears heat, clears the brain. Indications: Headache, vertigo, insomnia, pain and stiffness of neck, blurred vision, glaucoma, red and painful eyes, tinnitus, convulsion, epilepsy, infantile convulsion, febrile diseases, common cold, nasal obstruction, rhinorrhea. Function: Expels wind, clears heat, brightens the eyes, stops pain, stops itching, stops lacrimation. Indications: Redness, swelling and pain of the eye, itching of the canthus, lacrimation, night blindness, color blindness, blurring of vision. Function: Expels wind, brightens the eyes, stops lacrimation. Indications: Redness, swelling and pain of the eye, lacrimation, night blindness, twitching of eyelids, facial paralysis. Function: Expels wind, removes obstructions from the channel, relieves swellings. Indications: Facial paralysis, twitching of eyelids, epistaxis, toothache, swelling of lips and cheek. Function: Expels wind, removes obstructions from the channel, benefits tendons and muscles. Indications: Deviation of the mouth, salivation, twitching of the eyelids. Function: Moves blood locally, removes obstructions from the channel, opens the chest, subdues ascending rebellious Qi, stimulates the descending of Lung Qi, benefits the joints. Indications: Pain and motor impairment of the upper extremities, pain in the shoulder and back. 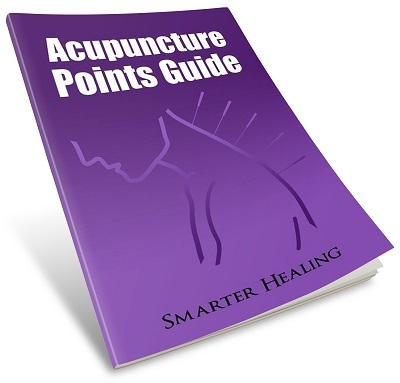 Function: Benefits sinews, promotes circulation of Qi in the channels, stops pain, expels wind. Indications: Pain in the shoulder and arm. Motor impairment of the upper extremities, rubella, scrofula. Function: Quickens the blood and frees the connecting vessels, soothes the sinews and dissipates binds. Indications: Swelling of the shoulder, aching and weakness of the shoulder and arm. Function: Removes obstructions from the channel. Indications: Pain and numbness in the thigh and lumbar region, paralysis, muscular atrophy of the lower limbs. Function: Removes obstructions from the channel, invigorates the Yang Motility Vessel, strengthens the back. Indications: Heavy sensation of the head, headache, lower back pain, redness and swelling of the external malleolus, paralysis of the lower extremities. Function: Removes obstructions from the channel, benefits the eyes, relaxes the sinews, opens the Yang Motility Vessel, clears the mind, eliminates interior wind. Indications: Epilepsy, mania, headache, dizziness, insomnia, backache, aching of the leg.